Take control of your Enterprise Governance, Risk and Compliance. Protecht.ERM is a full-function GRC solution that is configurable to meet your methodology’s requirements. Protecht.ERM allows you to focus more time and resources on improving your bottom line, handling much of the routine work involved in managing risk, regulatory compliance, detailed stakeholder reporting and incidents/events. 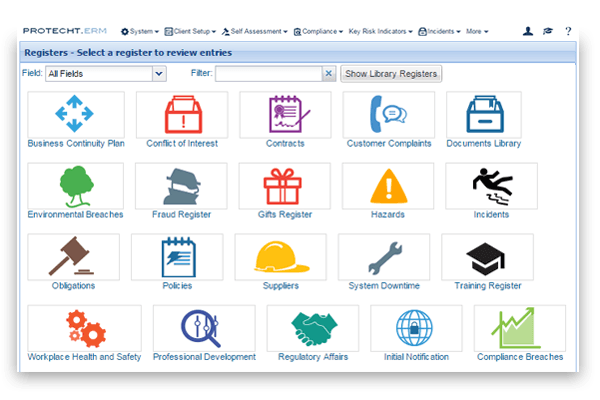 Flexible form creations allows you to manage risk, WHS, incidents, complaints, business continuity and more. The implementation service includes installation, user training, help desk support and all future software upgrades. 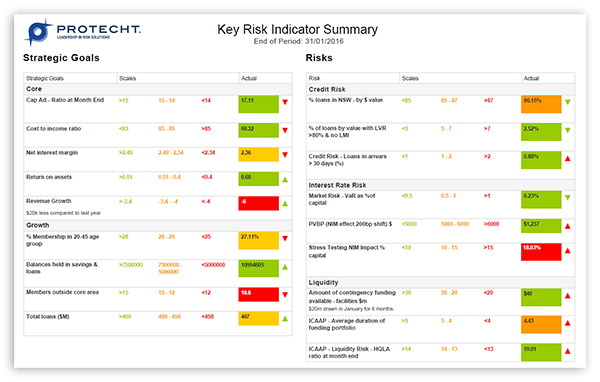 Protecht.ERM is suitable for organisations at any stage of risk maturity. Our software comes bundled with all the modules below so you can tailor the service to suit your risk management framework, organisation structure and policies. Convert paper-based forms into fully customisable registers. 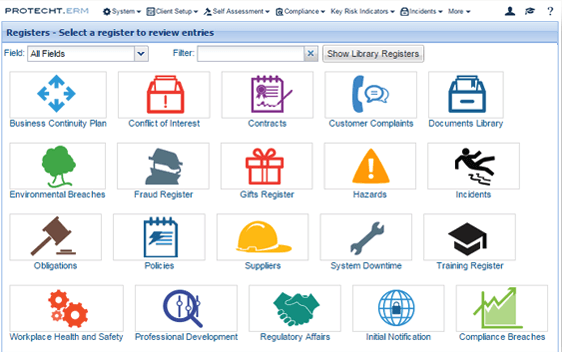 The register functionality in Protecht.ERM is versatile and easily modified by you to meet your business needs. 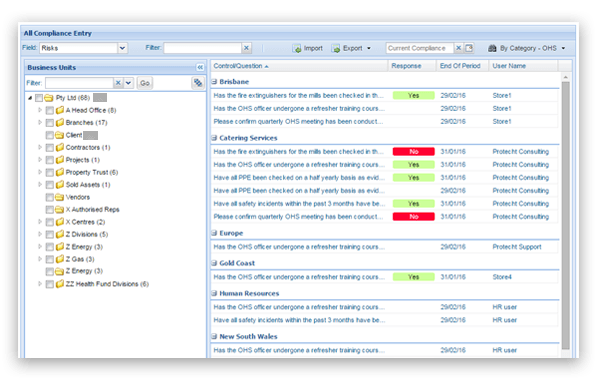 Protecht.ERM accommodates any risk assessment methodology and enables you to link back to central risk event and control libraries. 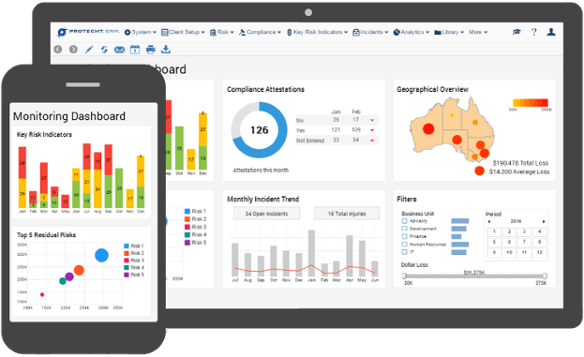 Risks can be assessed across multiple departments within your organisation and aggregated through dynamic reporting. Create pre-populated risk compliance reports based on internal and external policies, and assign them to the accountable persons within the business. Create, manage and track agreed corrective and preventative action plans. 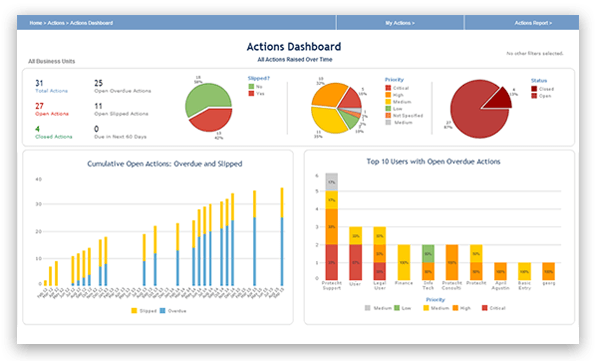 Monitor the status of each action through robust audit tracking. 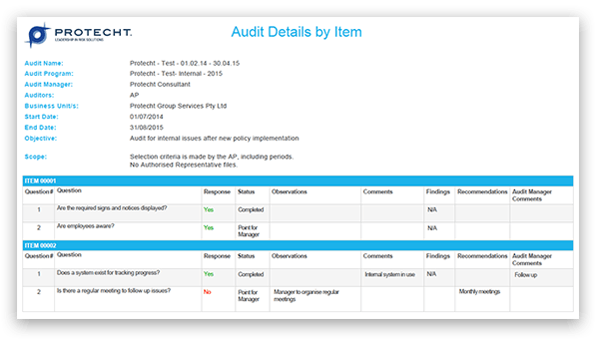 Perform internal audits and inspections and control assurance for any business area. Create and monitor agreed mitigation strategies. 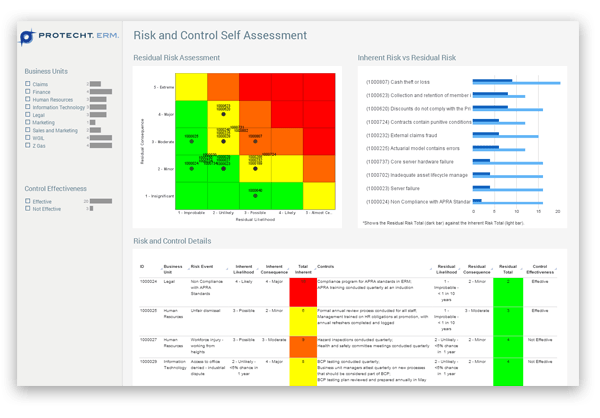 Create key performance indicators to monitor risk trends and, in turn, create clear business intelligence reports derived from these key risk indicators. Scalable and accessible from wherever you are, Protecht.ERM is suitable for all organisation types and sizes, who are looking to embed risk management throughout the business. Our flexible software is easy to use and suitable for almost any organisation, regardless of size, sector or risk maturity stage. Below are some of our clients, click on each logo to read more about their success story in implementing Protecht.ERM in their organisation. Here are some of our clients! What industries would Protecht be best suited to? Essentially Protecht is designed to be used in most industry scenarios. However, Protecht is purely designed as a risk management tool for enterprise businesses. Protecht specialises in Risk Management Training, Risk Management Software, and Risk Management Advisory Services. Do you have any case studies so we can get an idea of how you helped other businesses? Here is a case study where Protecht helped Prudential Investment Services Corp. Click Here. What would I look for on my own dashboard? Here is a free eBook on ‘Five tips for creating dashboards your users will actually use’. Click Here. See Protecht.ERM in action today! Get in touch and we can chat about how Protecht.ERM can help you better manage your risk. Request a demo below or call us on +61 (0) 7 5641 2101 or +61 (0) 400 977 769 to get a quick question answered.